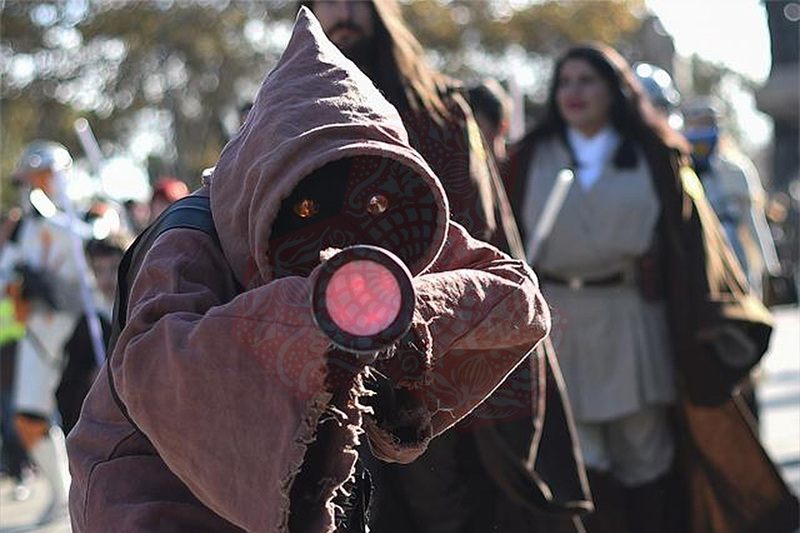 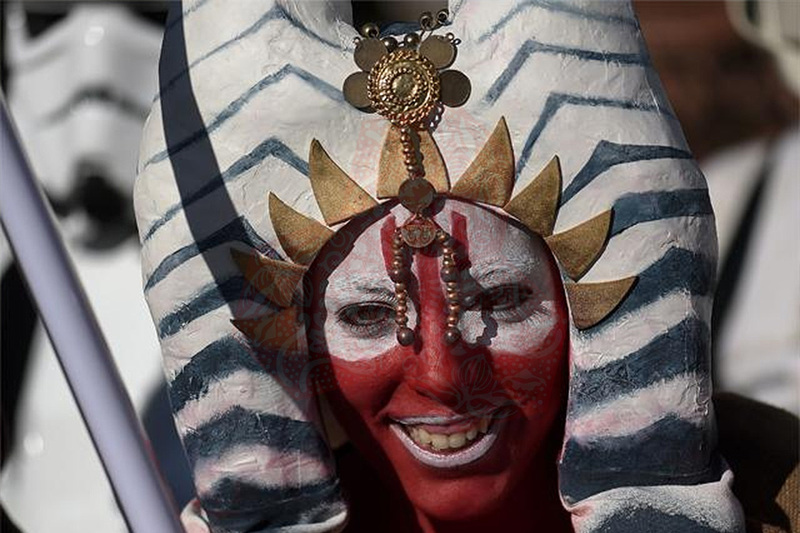 Every year, during Barcelona Star Wars Parade fans dress up in the costumes of their favorite characters from the saga of George Lucas. 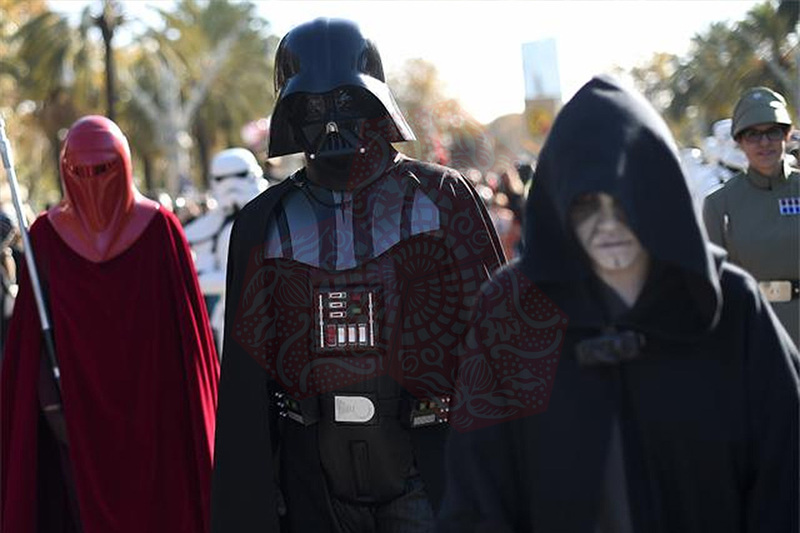 As you can see, they spare no expense when it comes to be seen, even for a little while, like his heroes from fiction. 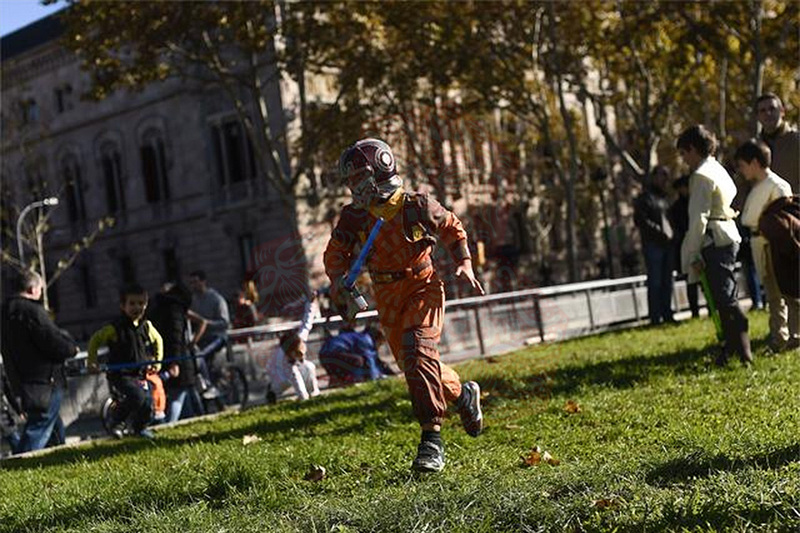 The event was held in front of the Arc de Triomf of Barcelona and was followed by hundreds of spectators. 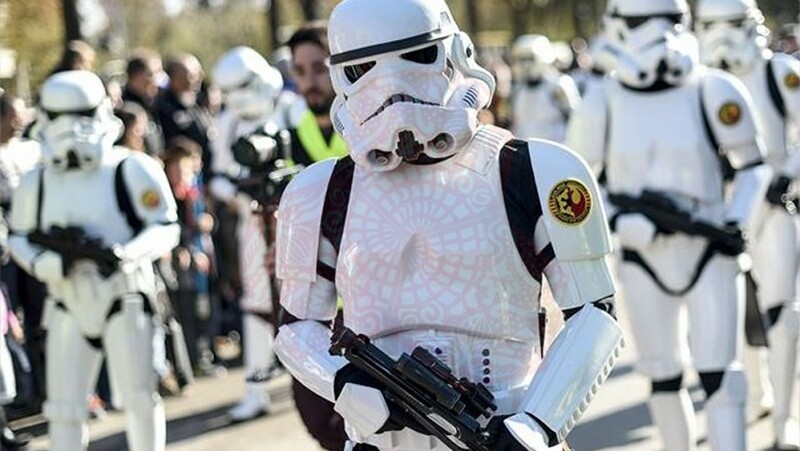 A creative way to get away a little of the increasingly tense problems through Europe and the world. 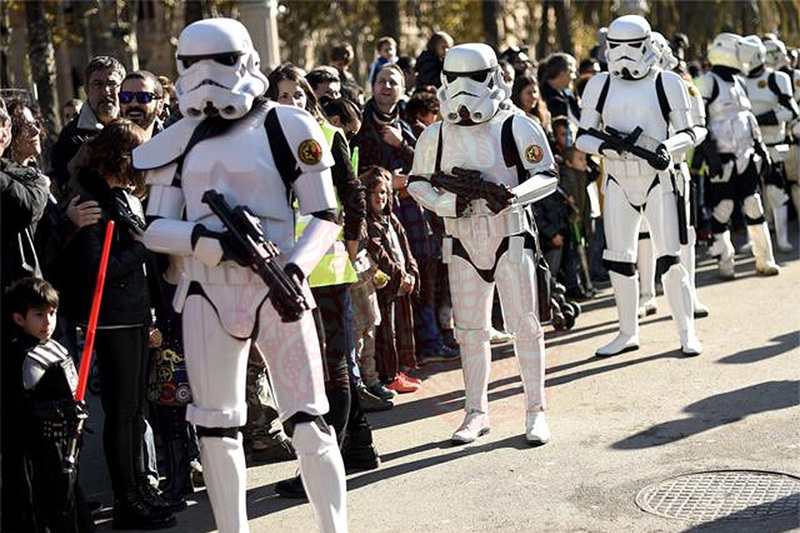 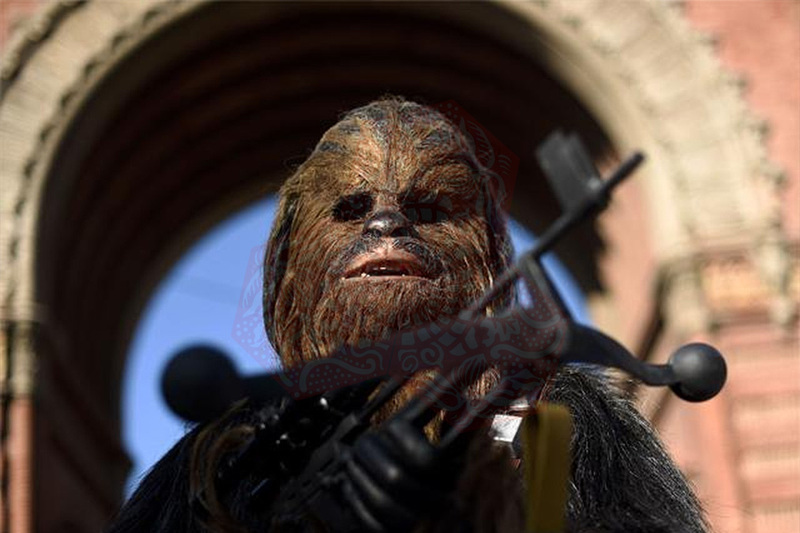 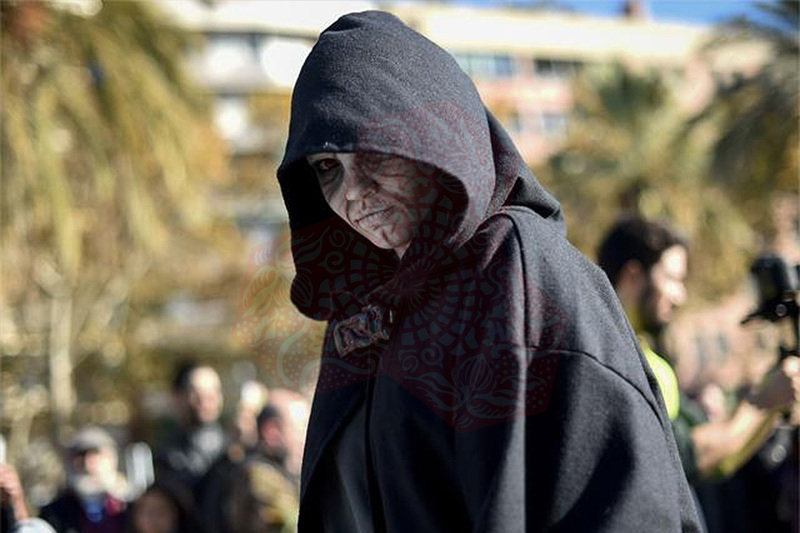 This year’s Barcelona Star Wars Parade took on an extra sheen of excitement coming mere weeks before the premiere of the latest film in the popular sci-fi saga Star Wars: The Force Awakens. 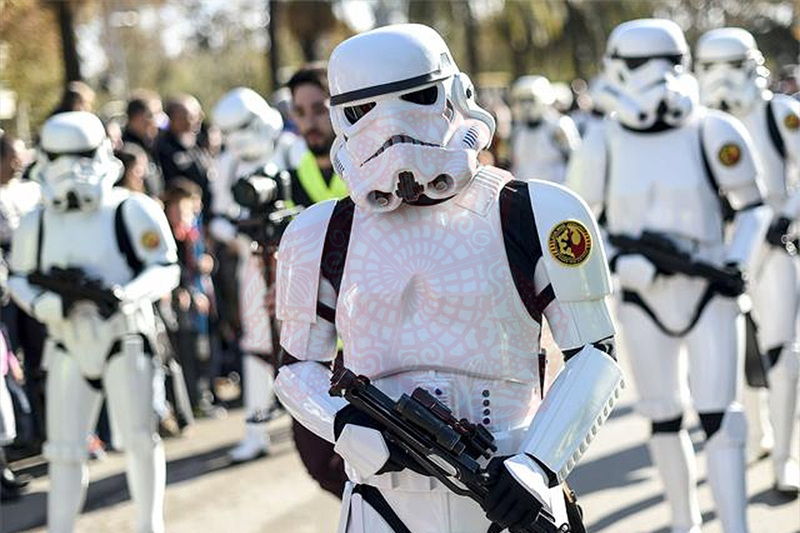 The much anticipated latest Star Wars episode, directed by J.J Abrams, will be released in Spain on December 18th and will reunite the stars of the original series, including Harrison Ford and Carrie Fisher, as well as introducing a host of new, young characters.